This weekend was Open House Melbourne weekend, where 111 buildings were open to the public: most of them are not usually. I volunteered this morning for the third year (this year at the State Library), but I’m quite afraid to say that my volunteer experience this year was very poor, as the lady in charge of Open House at the State Library (she was a SL employee) was so awful, but we’ll not go into that. One of the great parts of volunteering, especially in the morning shift, was that I had to be in town before 9am. At 9am on a Sunday morning, the city is EMPTY, which is both odd, and kind of lovely. It’s so quiet! After my shift was over, I went a got some lunch, then visited only two buildings this year (I’ve visited many in the last couple of years), the Windsor Hotel and 1 Spring St. Some photos taken on my iPhone, some on my (rather old) Panasonic Lumix, all touched-up in Lightroom. Race 1: No bets because too many runners. Race 2: Three-horse duet with Aiken, who unfortunately was scratched after I’d put the bet on, Ektihaam and Universal. Got nothing. Also had Nobel Mission, Sir John Hawkwood and Universal to place, with only Universal coming in. I was a tad annoyed to see that Thomas Chippendale won, as I had him listed to place a bet on, then decided against it! 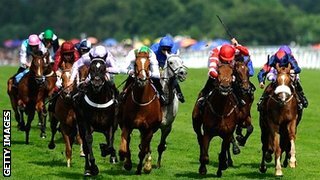 A terrible shame, as the poor horse suffered a heart-attack and died shortly after the race. I feel terribly sorry for his trainers, owners, groom, jockey and the rest of the team. It’s certainly one way to go out. Race 3: I know this race had 18 runners, which means putting money on it means I was breaking my “no bets on races with over 16 horses in it” rule, but I wanted runners in more than just race two, and since every other race had even more that 18 horses, plus it was the last night of Royal Ascot, I decided to go for it. So: the usual three-horse duet, in this race with Hawkeyethenoo, Society Rock and Sea Siren, won nothing. 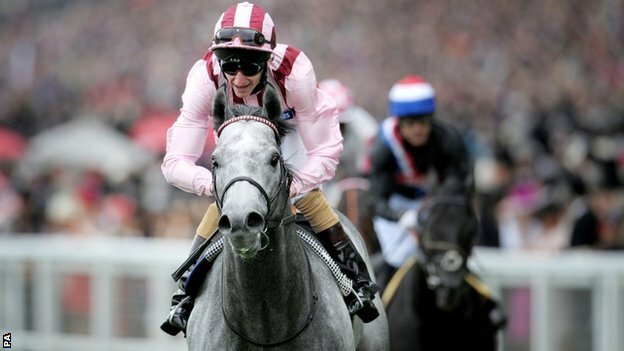 Had Lethal Force, Society Rock and Mince to place, collected on Lethal Force and Society Rock. It would have been nice to have those two in the duet, but oh well! Race 4: Not available for betting through the TAB for whatever the reason is. Race 5: No bets because too many runners. Race 6: No bets because too many runners. 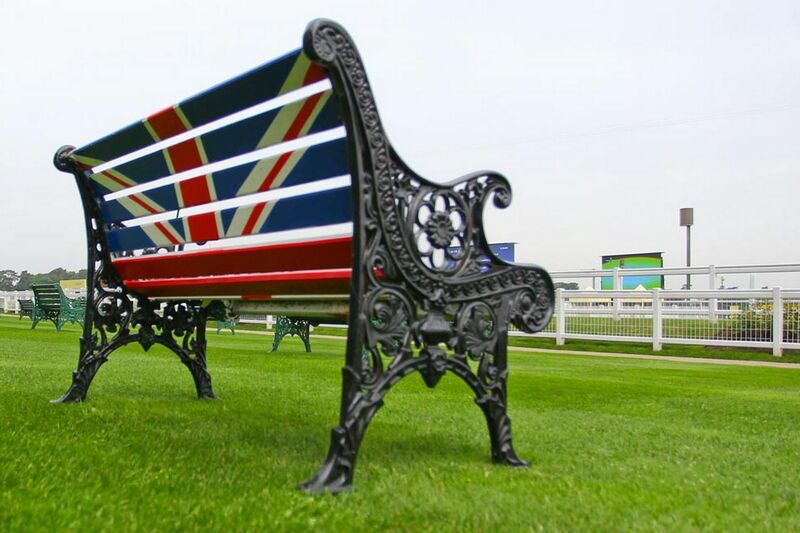 Well, that’s it for Royal Ascot for another year. A bit of a dampener on the last day, with the sad passing of Thomas Chippendale, but otherwise a wonderful race meet. There’s no more racing for me until the Melbourne Spring Racing Carnival, which kicks off in October. 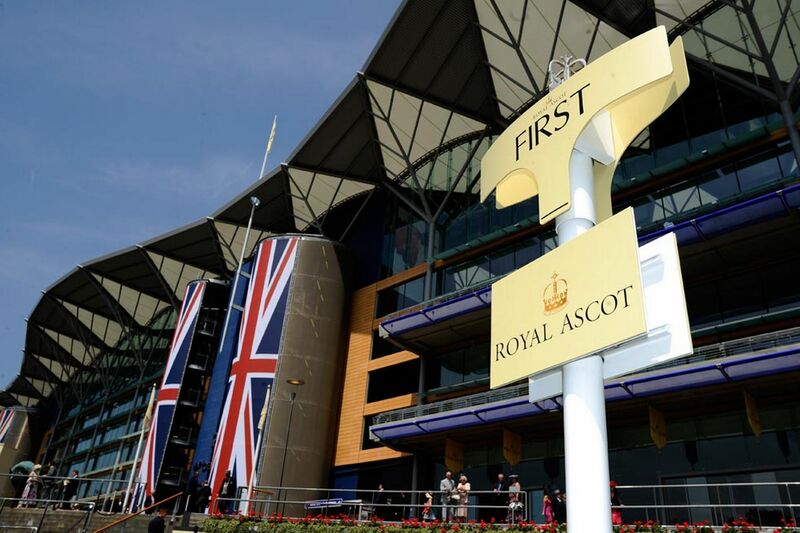 If past form is anything to go by, I never do as well on the Australian races as I do in the UK, but it’s another year, and with great successes at Royal Ascot, you never know what might happen! Race 2: Three-horse duet with Battle of Marengo, Contributer and Hillstar. Won the leg with Hillstar and Battle of Marengo. I like three-horse duets because you generally only need one leg to come in, and you’re covered for the bet. If you get all three in, you’re covered for the day. I also had Battle of Marengo and Hillstar to place, and collected on both of them. Race 3: Yes, betting on this race broke my “no betting in races with more than 16 horses in it” rule, but one of them was called Purr Along, and I’m a sucker for horses with cat-related names. The odds weren’t all bad, and I had Purr Along to place. He came 11th of 17. Oh well. Race 4: This was the big winner. 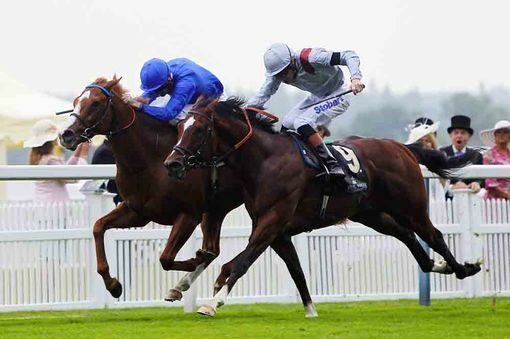 Three-horse duet with Forgotten Voice, Albasharah and Sheikhzayedroad. 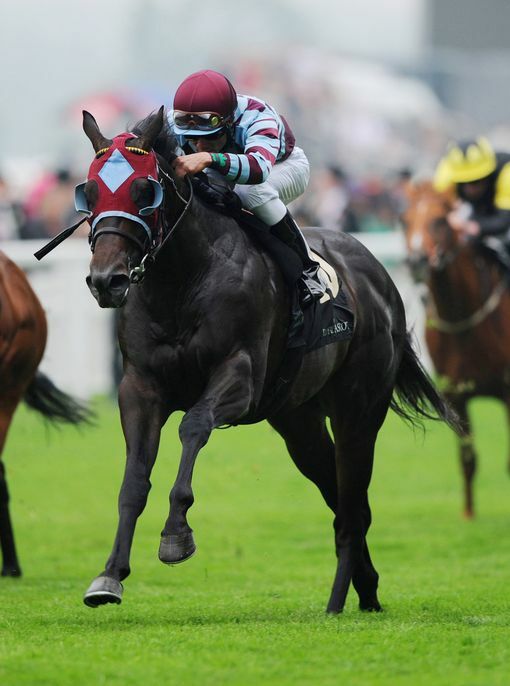 Won the leg with Forgotten Voice and Sheikhzayedroad. It was on this win that I cleaned up from the bookies, with Forgotten Voice being a bit of an outsider. Also had Rewarded, Genzy and Sheikhzayedroad to place, with only Sheikhzayedroad paying. Only one more night to go, and hopefully one last run at success! Race 1: I started with the usual three-horse duet, in this race Coach House, Coulsty and Eccleston. Got nothing. Three to place, Coulsty, No Nay Never and Saayerr, with only Coulsty coming in. The main problem with this race was that almost all of the horses were either debutants, or at only their first of second meet, so it’s hard to pick (that’s my excuse anyway!). Race 2: This was my best race of the night. Three-horse duet with Alive Alive Oh, Fersah and The Lark, winning the leg with Alive Alive Oh and The Lark. Also had two to place, Riposte and The Lark. Won with The Lark. Race 3: Too many runners, so no bets. 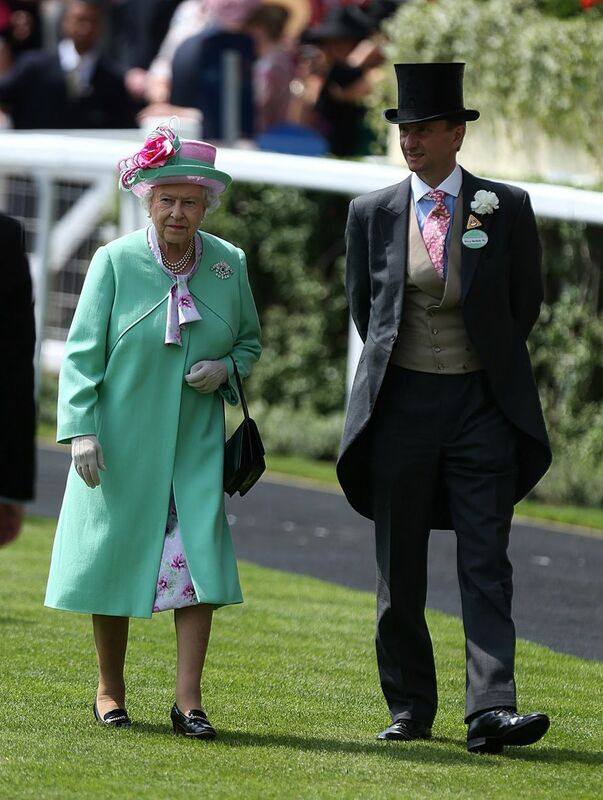 Congratualtions to the Queen’s as Estimate, her horse, won. Race 4: One of those odd races that the TAB doesn’t have available. Race 5: Three-horse duet with Elkaayed, Indian Chief and Remote; nothing. Being silly, I had four horses to place: Centurius, Kitten on the Run (for my own kitten, Pippa), Remote and Windhoek, with Remote paying. Race 6: Too many runners, so no bets. Race 1: No runners because too many entries. Race 2: I accidentally had a flexi duet on here (the ‘flexi’ part was the accident, not the duet. That’s what happens when I have to use my phone!) with Chigun, Dank and Thistle Bird. Won nothing. Also had the same three to place: Chigun the only one to come in. Race 3: Managed to put on a ‘normal’ (yay!) 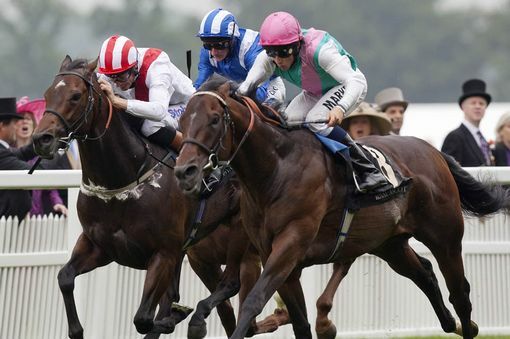 three-horse duet with Al Kazeem, Camelot and The Fugue. 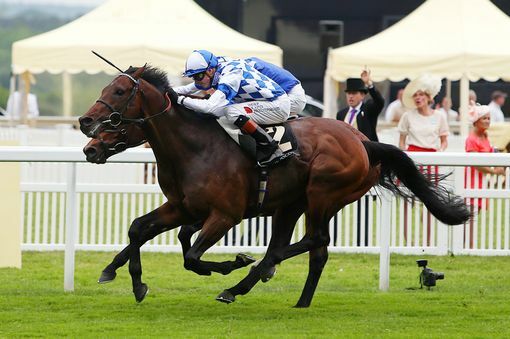 Won the leg with Al Kazeem and The Fugue. 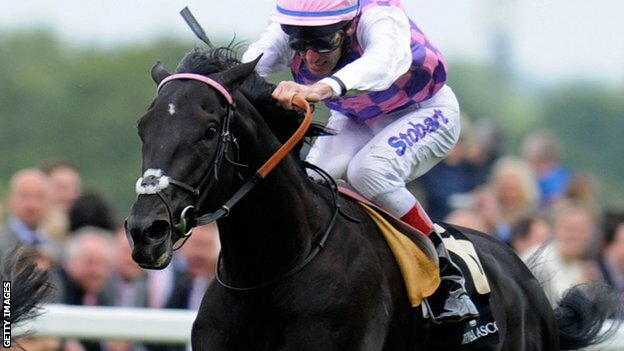 Had Maxios, Red Cadeaux and The Fugue to place, with The Fugue paying. Putting money on Red Cadeaux was probably a bit silly considering the odds, but he’s raced a lot in Australia and done well for me in the past. Race 4: The TAB didn’t have betting available for Race 4. Sometime’s it’s funny like that, and doesn’t allow you to bet on all races at an international meet. Race 5: No runners because too many entries. Come at me Day Three! PS: I really liked the Queen in what she was wearing. I think she looked very nice. 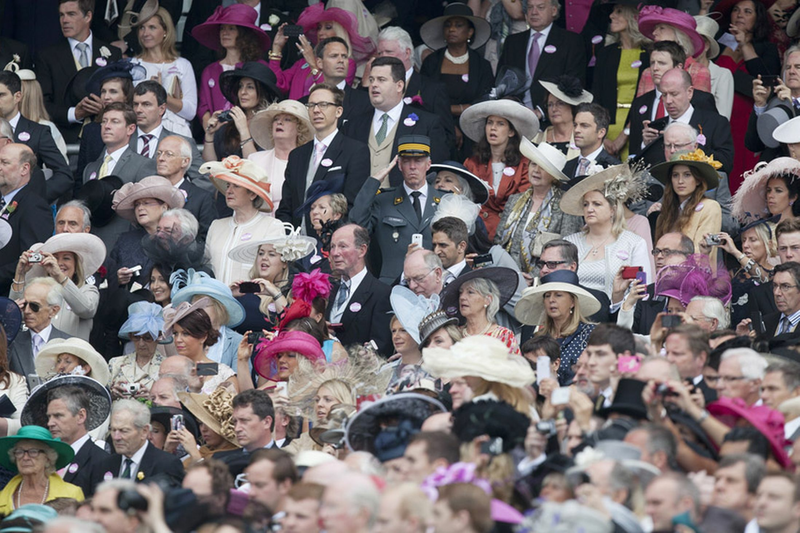 Royal Ascot, one of the most exciting week of sport in the year, kicking off yesterday/last night. Unfortunately, with the first race being at 11:30pm AEST/2:30pm GMT, I was already tucked up in bed, and therefore didn’t get to hear any of the races. Not that that mattered much, as I got a lovely surprise in the morning seeing that I’d won 125% of what I’d put on. Great way to start a freezing frosty morning!! Race 1: Started the day with Gregorian placing. A good one to get in the first race, as he was a bit of an outsider. My other to-place, didn’t. Race 2: No runners because too many numbers. Race 3: Three horse duet with Dawn Approach, Dundonnell and Tornado, won one leg of it – Dawn Approach and Tornado. Also had Dawn Approach to place, which I got and was nice, as well as Mars, who didn’t come in. Race 4: Three-horse duet with Championship, Stubbs and Thunder Strike. Got nothing. Mawfoor, Parbold and Thunder Strike to place, Parbold placed. I had all the favourites, but the roughies got up! Race 5: No runners because too many numbers. Fun and excitement and wonderful successes all round at the Epsom Derby last night* (yesterday). And it is doubly as fun when not only do you have a successful night, but pick the winner in the big race. I listened to the first three races on BBC Radio 5 Live, then retired to bed. Race 1: I had a two-horse duet, plus one of them to place, and I can’t remember exactly, but I think my two horses ran 4th and 5th. Boo. Race 2: I had a three horse duet. And it came in. All three. Cue jumping up and down, thus frightening the cat. Once you get one of those bad-boys where all three horses come in, you’re more-or-less set for the day. Race 3: With only five horses in the race, I went a three-horse quinella. It came in, but since it was the two favourites who got it, the dividend was less than what I had paid for the bet, but oh well. Better something than nothing. Race 4: I didn’t have any runners in Race 4. One of my rules of betting is if there’s 16 or more horses in a race, don’t bother. The odds are stacked too high against you. Race 5: The Derby. I had a three-horse duet, and one to place. Thank goodness I added in that one to place, because my duet did nothing. The one I had to place was, of course, Ruler Of The World (below, and on top). Race 6: I had a three-horse duet, plus one of those to place. I won one leg of the duet and my one to place. Race 7: Slightly breaking my own rule. The race had 16 horses. I had one to place. It didn’t. Oh well. Overall, I won back everything I bet, plus about another 20%. Please note that I only bet VERY small (most people laugh when I say how small my bets are), but even the smallest of bets makes the races infinitely more exciting. I enjoy the UK races much more than the Victorian Spring Racing Carnival, as I always come out on top in the UK races, but lose terribly in Aus. Oh well. (^I’m not sure which horse that is, but he’s pretty and chances are I had money on him). And yes, I can read a form guide. When people find out that I can, and have this small interest in horse-racing, they’re often surprised. I don’t really know why, considering I did horse-riding lessons for over six years, so during the Olympics I could actually watch the Dressage and enjoy it, but oh well. Last night was a successful and fitting start to the beginning of my Winter Season, something that will hopefully continue! 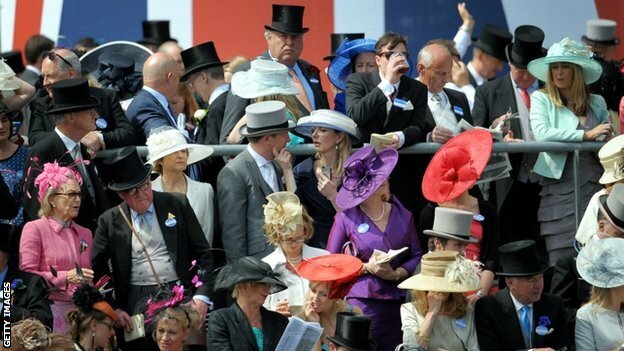 Roll on Royal Ascot! *Race 1 was at 10:35pm AEST. Therefore, for me, it was the night. I find it too weird to try and say ‘day’, because for me, it wasn’t.